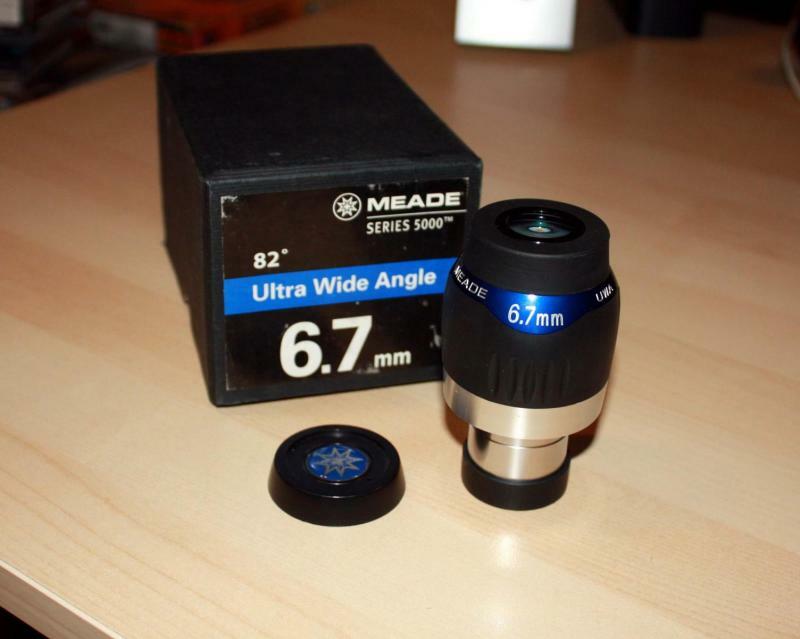 Are Meade 82 deg disappearing? Agena Astro no longer carries them. Also, Agena no longer carries the ES 20mm 82 deg. Are these no longer popular? They seemed like such a good deal. Actually I just remembered that ES makes an 18mm not a 20mm, and the eye relief was a bit tight. Edited by stargazer193857, 16 October 2018 - 04:47 PM. Are you talking about the 5000 series UWA's? I think they have been discontinued for some time but you can still find some of the fl's brand new from various vendors. I know some of them can be found new on ebay. Great ep's, same optics as the ES82's. I have the 4.7, 6.7. 8.8 and 18. Thinking about adding the 5.5 while they are still available. 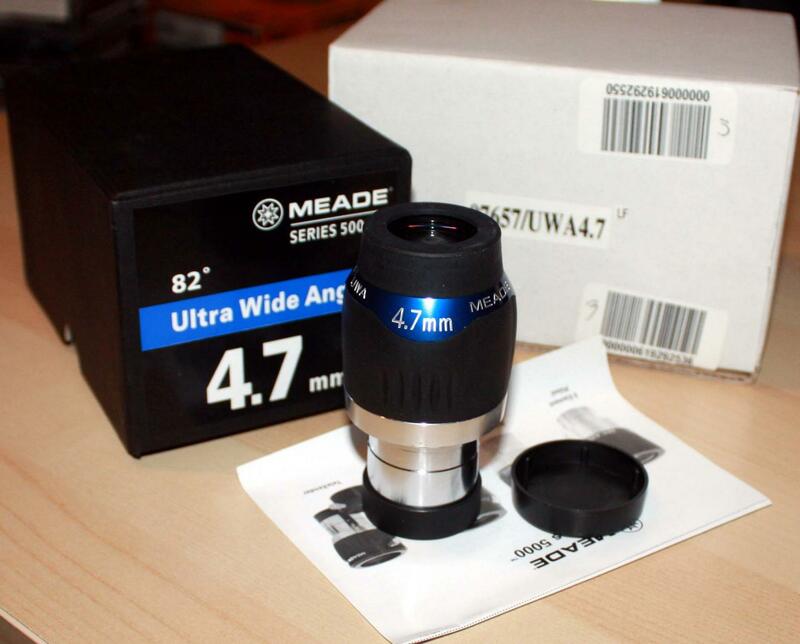 Maybe someday I'll find a used 18mm 82AFOV Meade 5000 UWA 1.25" for binoviewing. I like this eyepiece in my ST80 finder. Some of the Meades are still there. The non-water proof Meades went the way of the Dodo a long time ago. Edited by Miranda2525, 16 October 2018 - 08:40 PM. Same as the meades, the older mushroom top ES82 30mm weighed over 3 pounds....looked like a giant photon sucking tick on my dob. They did not go the way of the Dodo, they evolved into the Explore Scientific 82°. The old non-waterproof UWA's were produced by JOC, who know owns ES. I cannot imaging retooling the entire 82° line, I believe for efficiency only the outer housing was changed. Was just saying the blue Meades went that way.....and they did. Can only get those particular ones used now. ES just did the same with a diff housing. Edited by Miranda2525, 17 October 2018 - 04:44 PM. 5.5mm, 8.8mm, 14mm, 20mm, but 20mm is 2". I found several dealers with all sizes in stock. Waterproof though. I said non-waterproof. I thought the waterproof Meade was the blue ones, and the non-waterproof ones were green? Original line was 18 instead of 20, also had 4.7, 6.7, 24 and 30. Good to know a few fl's of this excellent line is still being produced, and now waterproof. I think most people prefer the more streamlined ES version instead of the meade mushroom cap. No, both old and new UWAs have had blue rings. The green ones were 68° SWAs, which they didn't continue into today's eyepieces. You mean these... I sold these long ago and bought the ES versions, I much prefer their housing. However, I have recently bought the waterproof 5.5mm and it is a very nice eyepiece, it nestles right in there between the 4.7mm and 6.7mm. Would you consider the newer ES68's to be the equivalents of the SWA's, they were/are both produced by JOC, similar to the 82 degrees. Just ordered the 5.5. $84 shipped from walmart.com. Tough to turn down that deal. I don't know how I missed that, I feel a little embarrassed... Thanks Don.